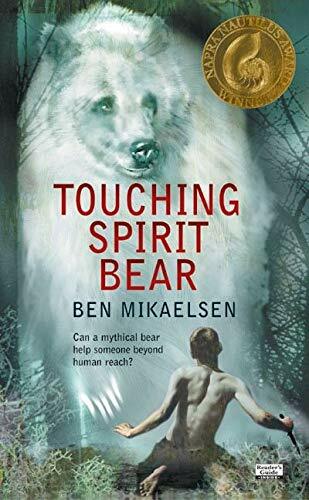 In his Napra Nautilus Award-winning novel Touching Spirit Bear , author Ben Mikaelson delivers a poignant coming-of-age story of a boy who must overcome the effects that violence has had on his life.After severely injuring Peter Driscal in an empty parking lot, mischief-maker Cole Matthews is in major trouble. But instead of jail time, Cole is given another option: attend Circle Justice, an alternative program that sends juvenile offenders to a remote Alaskan Island to focus on changing their ways. Desperate to avoid prison, Cole fakes humility and agrees to go.While there, Cole is mauled by a mysterious white bear and left for dead. Thoughts of his abusive parents, helpless Peter, and his own anger cause him to examine his actions and seek redemption--from the spirit bear that attacked him, from his victims, and from himself. Will the attack of the Spirit Bear destroy Cole's life or save his soul? Cole Matthews has been fighting, stealing, and raising hell for years. So his punishment for beating Peter Driscal senseless is harsh. Given a choice between prison and Native American Circle Justice, Cole chooses Circle Justice: He'll spend one year in complete isolation on a remote Alaskan island. In the first days of his banishment, Cole is mauled by a mysterious white bear and nearly dies. Now there's no one left to save Cole, but Cole himself.